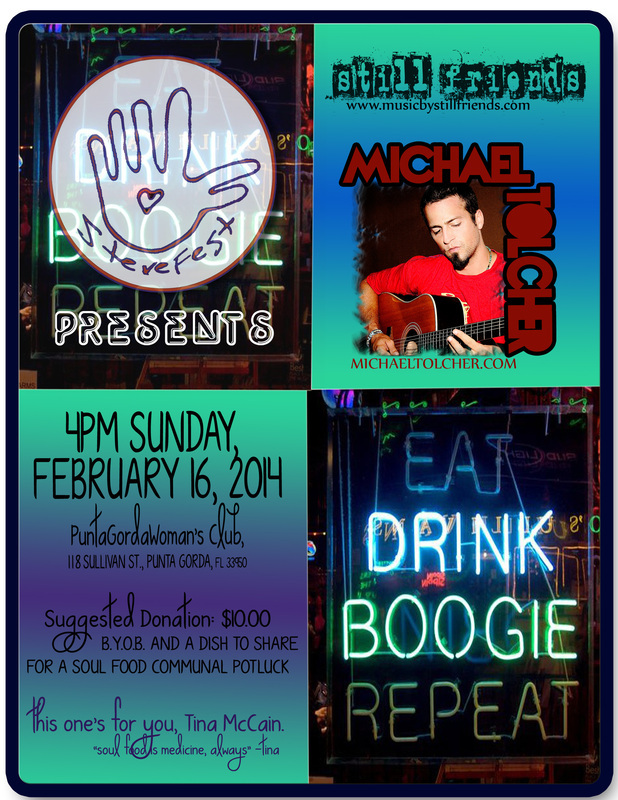 " This month our concert will feature former members of the celebrated group Steve Blackwell and Friends, Southwest Florida’s very own STILL FRIENDS, who perform original music with unique and memorable delivery. 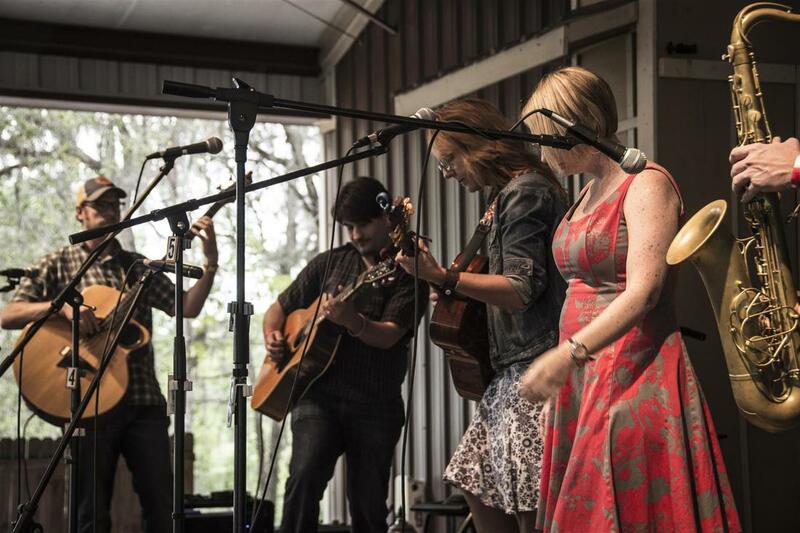 Combining strong songwriting with elements of folk, rock, bluegrass, jazz and soul music they perform throughout Florida. (Carrie Blackwell Hussey, vocals & percussion; Japhy Blackwell, saxophones, vocals; evan walsh, bass; and Tiffiny Coffey with vocals and guitar.) Our opening act is an award winning singer/songwriter & folk artist, mike jurgensen, who will perform many of his Florida songs. So come enjoy Music and a homemade meal (optional) at one of the most unique historical and scenic sites in our county. It is a unique waterfront botanical garden with rich native american history and a home to approximately 35 live peacocks Listen at (www.musicbystillfriends.com). Place : Sacred Lands ( enter via 1700 Park Street N., St. Petersburg, FL 33710) Take Park Street to Elbow Lane and turn West. Then turn left into big gravel parking lot. Doors open : 6:30 p.m $12.00 admission. For further info contact us at www.SacredLands.info. will be the third Friday, January 18, 2013. This month our concert will feature former members of the celebrated group Steve Blackwell and Friends, Southwest Florida’s very own “STILL FRIENDS” who perform original music with unique and memorable delivery. Combining strong songwriting with elements of folk, rock, bluegrass, jazz and soul music they perform throughout Florida. (Carrie Blackwell Hussey, vocals & percussion; Japhy Blackwell, saxophones, vocals; Reed Coffey, lead guitar, banjo, bass, vocals; and Tiffiny Coffey with vocals and guitar.) Our opening act is an award winning singer/songwriter & folk artist, MIKE JURGENSEN, who will perform many of his Florida songs. So come enjoy Music and a homemade meal (optional) at one of the most unique historical and scenic sites in our county. It is a unique waterfront botanical garden with rich native american history and a home to approximately 35 live peacocks Listen at (www.musicbystillfriends.com).